So, you’re thinking about building your own home, but you don’t know where to start. You have a lot of decisions to make, and an almost overwhelming amount of freedom. But most of your decisions will come back to the same question: how can your home design bring out the best in your plot of land to support the lifestyle you want? When you build your own home, you don’t have any of the normal restraints that come from buying an existing property: you don’t have an inflexible floorplan, or inconvenient load-bearing walls that restrict your space. Plots, like those available at the custom build development of Long Four Acres in Norfolk, can offer all the flexibility you need at an affordable price, so that you can spend your money creating your perfect home. You want to know how to make the most of the plot that you choose, and so I’ve collected a few design ideas to demonstrate the ways you can bring the best out of your space. It is important to understand the plot particulars before you begin. Dimensions, orientation, and the surroundings are all features that will impact the kind of environment that you can create. I have decided to focus on Plot Five at Long Four Acres as my example plot. Plot Five has a maximum build zone of 304m², so you have a lot of space to work with. Although it is unlikely the footprint of your new home will use the whole build zone, the large areas enables you to make the most of what this plot has to offer. Your home can be built up to 9m high, which means you can easily have two floors with high ceilings or you can build a third storey into the roof space if you wish. The front of your home will be southern facing which will bring in lots of natural energy and light, which is important to consider when deciding how your house will function. Your Plot Passport provides you with the information on the flexibility of design and size, so taking a look at that is always a good place to begin. Now it’s time to think about the exterior of your home. 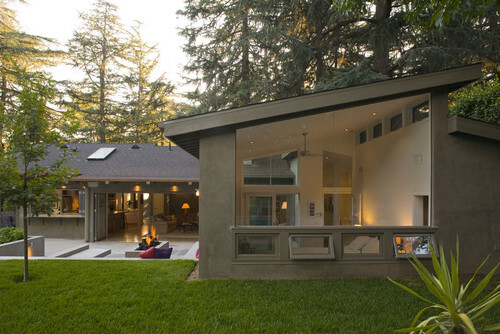 One idea for creating an effective use of space in your home is to adopt an ‘L-shaped’ design which will make the most of the front part of the house. 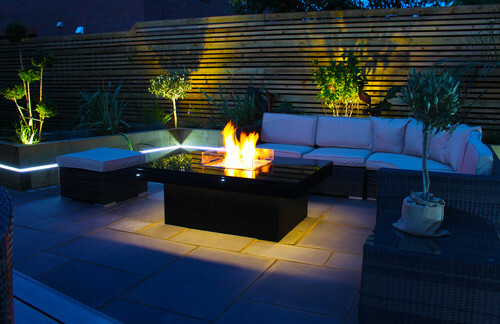 This design style is fantastic for integrating your garden space with your home, and the result is an environment that is flexible for entertaining and private, depending on your needs and wants. Plot Five at Long Four Acres gives you the opportunity to create two distinct garden spaces. Thanks to the size of the plot there is ample opportunity to fashion flexible uses for both the front and back garden areas. As each garden will receive different levels of sunlight at different times of the day and year, you can find a welcoming spot of sun all year round. Your back garden will generally be more sheltered, although this can be negated by clever use of design and materials, allowing you to create a peaceful ‘back yard’ retreat for relaxing. 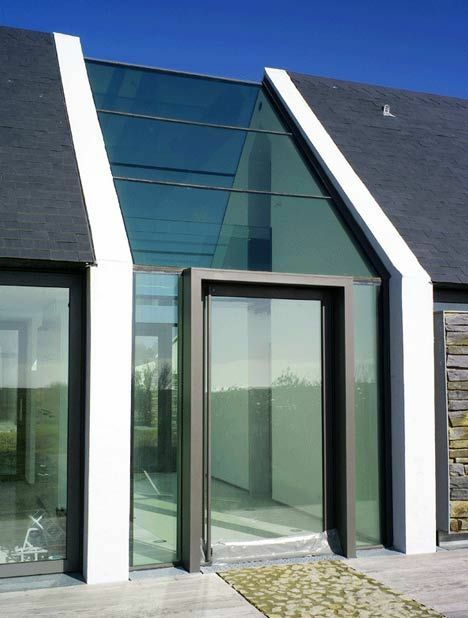 Some designs utilise glass cross sections which can enable light to shine straight through the property, creating patches on sunlight in the back garden, while the hollow of the ‘L-shaped’ design will open up a defined green space at the front of the house. This has the effect of increasing the size of the plot and the home to the naked eye. Next step – designing an internal layout that works for you! People often prefer their family rooms to face the south, so think about placing both your living room and kitchen/diner facing on to the front lawn. 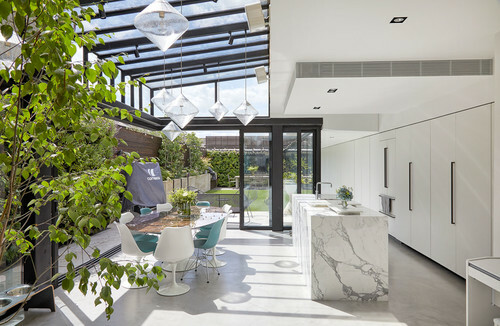 Alternatively, you could place your kitchen at the side of the house, but use skylights and glass doors to allow light to stream in throughout the day which will create a sense of warmth otherwise lacking in this part of the home. Contrastingly, bedrooms work fantastically if they face north. They keep cooler in the summer, acting as a refuge on those long summer days; while the whole home will be heated evenly in the winter. Even better, a north facing bedroom avoids waking you up too early with harsh light streaming into your bedroom in the morning. Instead you will awake to the gradual morning light and sounds of birds from the trees at the northern boundary of the garden. Not a bad way to start the day! 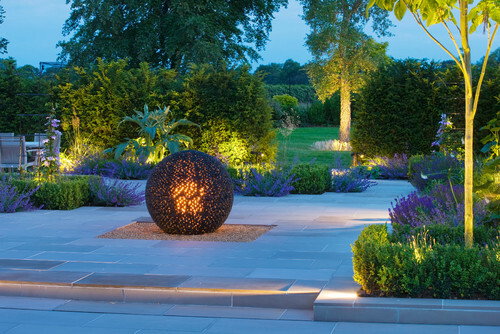 Your garden design works best when it is integrated into your house design. Personally, I would choose a patio in the front; admittedly a more public space than the seclusion of the back garden, but creating privacy here is still possible. At Long Four Acres you can retain privacy from excellent plot design. You can ‘hide’ part of the front of your house using hedges and trees, or use an ivy-covered ornamental wall to enclose part of your patio area while still opening up angles for sunlight. You could even set seats into the wall, turning this into an outdoor room for barbeques in the summer and watching the kids build a snowman in the winter. 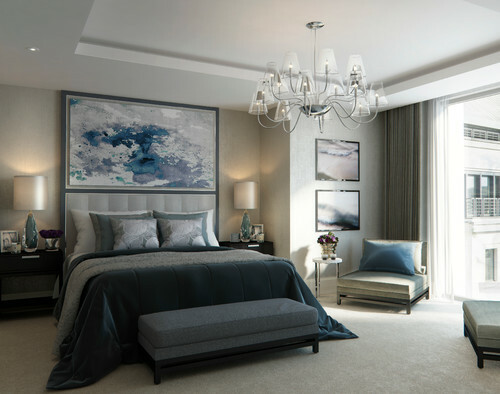 At Long Four Acres you’ll be encouraged to be creative and play your part in crafting ‘living environments’. You can use a variety of plants to create a beautiful back garden space. Plantage such as Bergenia, Hellebore, Clematis and Virginia Creeper thrive in the shady pockets between the sunlight. And even better news is they’ll need less watering because of their protection from the sun, so they can be easy to maintain. I hope this has inspired you to keep searching and planning for your new home. Custom Build Homes has six remaining plots available at Long Four Acres. Every plot is serviced and already has outline planning permission, with asking prices starting at £255,000. Professional help and support is available throughout your journey. I can’t wait to see what your designs become!